Nintendo decided to not actually show up for an E3 event and opted to do a digital event much like they've been doing with their Directs as of late. Starting off strong with the latest Smash Bros news, as well as announcing yet more playable characters in the forms of the Mii Fighter, which comes in 3 different flavours, the fighter, the sword master and a gunner. New details on gametypes were shown but not elaborated on, hopefully another Smash Bros dedicated Direct will be out before the game itself which is heading to the 3DS on October 3rd with the Wii U version following a little later on. One final reveal was for new Super Smash Bros character, Lady Palutena from Kid Icarus also joins the battle. We're treated to a spectacular animated encounter between Pit and Link in which Lady Palutena intervenes in order to join the battle. The next thing revealed was the Amiibo, a Skylander type toy that when placed onto the Wii U gamepad, downloads the character into different games. You can then level up that character and bump it's stats up. At this moment in time the games that these Amiibo figures will work with are Smash Bros and Mario Kart 8. Next up was Yoshi's Wooly World, with a similar look to Kirby's Epic Yarn only this time using a fully 3D Yoshi rather than the cotton outline that Kirby had. New to the series is a co-op two player mode, much like the Mario Bros game on Wii U, you can either choose to help or hinder your friend. Yoshi is set for a 2015 release. Last seen as bonus stages in Super Mario 3D World, this time Captain Toad is his own adventure on Wii U for the holidays of 2014. If you're new to Captain Toad, you have to navigate small worlds by shifting the perspective at key points in order to reach the goal. The first of two new Zelda titles was next, this one focusing on a more open world version of Hyrule reminiscent of the original game where you can choose to go in any direction from the start and explore anywhere you want rather than travelling along a linear pathway through predetermined dungeons. A trailer for the latest Pokemon remake of Ruby and Sapphire was up next. Using the same engine as the latest X and Y games we were shown some of the new Mega Evolution versions of old favourites as well as the two cover Pokemon Groudon and Kyogre. Along with those that were announced during the Digital Event, Mega Diancie and Mega Sableye were also revealed after the show. Pokemon Omega Ruby and Alpha Sapphire will be launching Worldwide on November 28th 2014. Just incase you'd forgotten about it, Bayonetta 2 was up next showing off some of it's crazy hair fighting mechanics and some very flashy visual effects. Also announced was the fact that the original game will be bundled in with the new title as well as some special outfits for Bayonetta herself including a Peach style dress, a Link style green tunic and a full on Chozo Power Suit from Metroid. The game is set to release in October of this year. The second Zelda game to be shown was Hyrule Warriors from Tecmo Koei, if you've played a Dynasty Warriors game before you should know what you're in for, if not then expect huge armies of enemies that you rush through to battle your way to a boss encounter; it's very different from your traditional Zelda game. 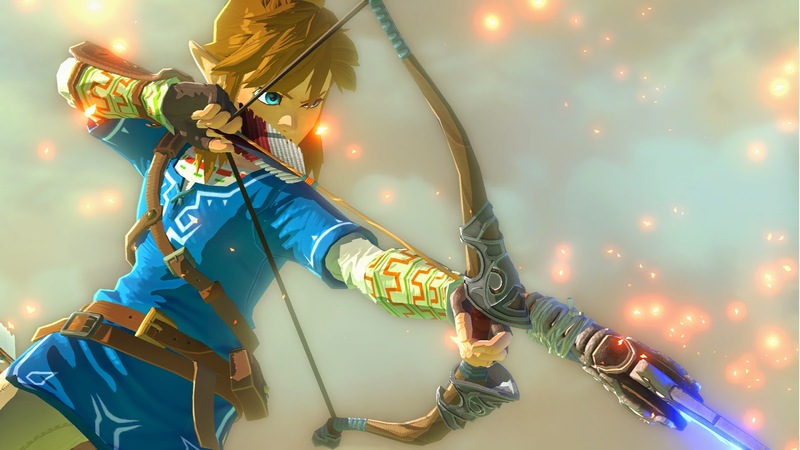 As well as Link, you can also play as Princess Zelda, a new looking Impa and Midna from Twilight Princess, as well as more that have not been revealed yet each with their own unique play styles. It's looking really great so far and I can't wait to see more of this myself. 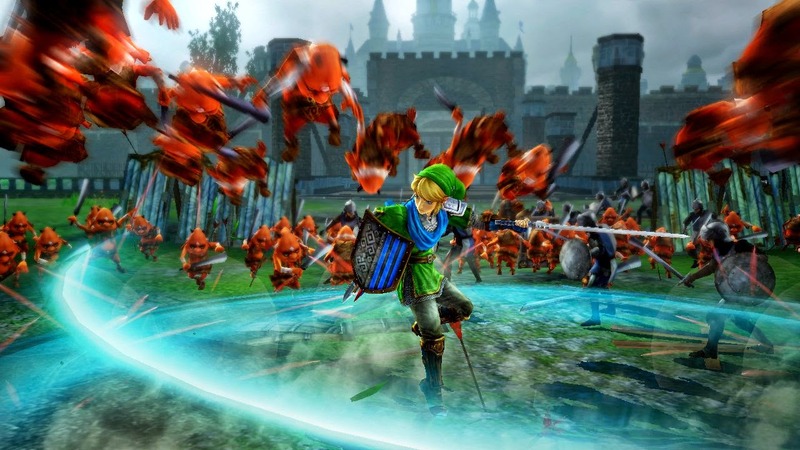 Hyrule Warriors is set to release on Wii U on September 26th. A few trailers for games set for 2015 were shown next, first was Kirby and the Rainbow Curse which looks like it's all made of playdoh, you move Kirby around by drawing lines for him to travel along. Next was Xenoblade Chronicles X an RPG with some fancy looking space battles. Ever wanted to make your own Mario game? Well now you can with Mario Maker! A simple looking editor for the classic style Mario where you can drag and drop objects to build 2D levels. The final game to be shown was Splatoon, a third person shooter with a difference! Rather than just trying to kill each other, you're armed with a gun that shoots ink, the objective of the game is to cover the world in your teams coloured ink to dominate the area. As well as running about splatting ink everywhere, you can turn into a squid and swim through your teams ink to get around twice as fast, as well as refilling your gun with more paint. On the gamepad is a real time map that shows how much of the level is covered by either you team's or the opponent's paint. Interestingly with the map, you can fast travel around by simply clicking on one of your teammates at which point you get blasted into the air and come down to land right next to them, seems like a great way to get straight back into the action. Splatoon is due for release next year.